I already suceeded to create a function to do the linear transformation, but i´m a bit confused about the nonlinear. From what i understdood, The only different part on both equations are in the 9th position of a matrix. Solving the equation on "ratio" we have a simple result as: x/y ???? So...if for nonlinear we use, at the end x/y and for linear we also use the same equation x/y what is the difference between both ?????? very long time I used MATLAB,but doesnt it have some graph drawing capabilities to help you understand it better? Hi DayyDreamer. Oh..now i understood if you post here or in rosAsm subforum. Yes, the non linear uses exponential. But the problem is that, both (non linear and linear) seems to produce the very same result. (Also, the nonlinear example used, will later do a non linear transformation)...But....i did not found the difference on the matlab code. 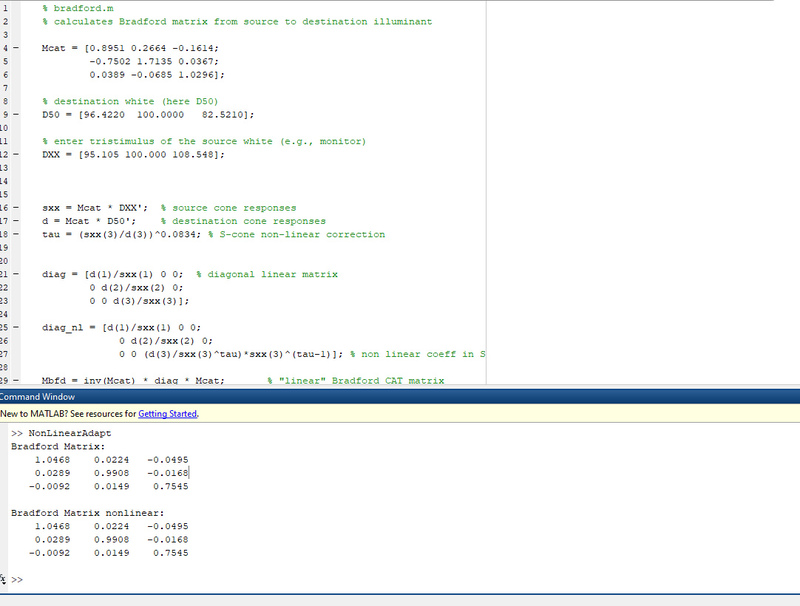 I´m not used to matlab. I had to install it to test some of those monsters But still hard to understand. From what i saw on the code, the only difference between "diag" and "diag_nl" are in the 3rd line. d(3)/sxx(3) ---- Which is teh same as in "diag"
This is why i´m confused. If they produces the same result why make it different ? I tried to run this code, but matlab is kinda greek for me. I didn´t suceeded to make this function runs to test. work. Is sxx(3) equal to one? I suceeded to make it work in matlab, but they produces the very same result. So, why make it different ffrom diag and diag_nl if they are the same ? 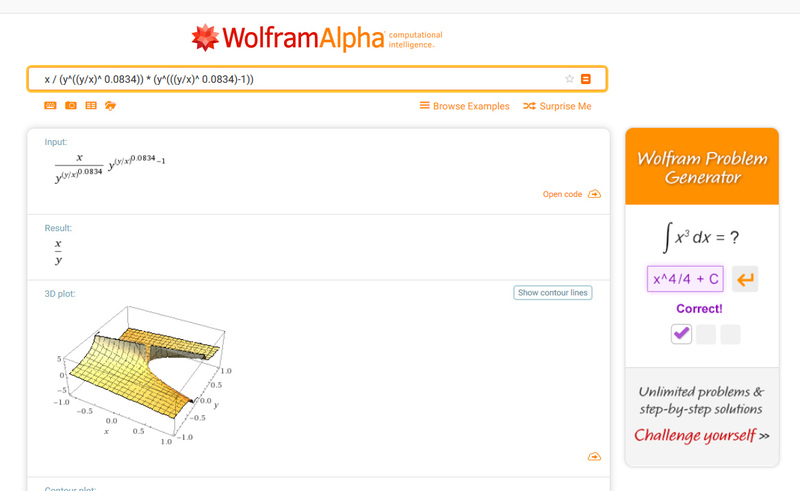 Either in Wolfram Alpha and MatLab the result is the same, proofing that both diag and diag_nl are the same thing. That´s why i´m confused...Why displaying diag and diag_nl as different equations if they produces the same result (And, in fact, are the same mathematical equation) ? Yes, I can see it now, sort of. The taus cancel each other. for the confusion. Apparently obfuscation is fun for someone. I was deeply confused about that, specially because i started another function to work with those "nonlinear" equations and stopped after finding that the result was the same. the good thing is that now i can use only one ssingle equation to hold all that stuff related to Color Conversion and Color Adaptation techniques. The main problem i´m facing is with the mathematical equations used to port those kind of things. The papers i´m reading are utterly complex and i have to push from memory those mathematical symbols used on them to understand what it is doing. I still have some issues regarding matrix equations (which are a bit confusing for me) but, i guess, i´m succeeding to create the necessary functions to use.